A new aircraft smell, a cross-country journey allowing me plenty of time to work, excellent legroom and a new inflight entertainment app provided a good trip between Orlando and San Jose aboard Southwest Airlines. But there were a few entertainment glitches. 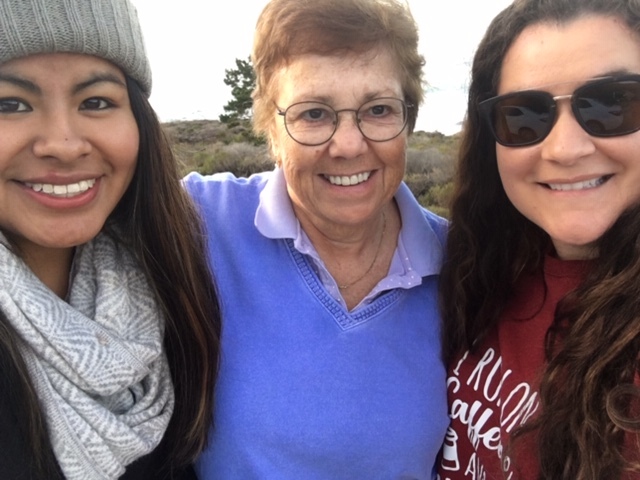 My adult daughters and I were headed for Monterey, California to tick off a bucket list item to take in the Monterey Bay Aquarium, kayak with seals, sea lions and sea otters and enjoy the beautiful and iconic coastal views on the way to Big Sur. You see, I prefer to give experiences instead of things but this trip was more a gift to myself rather than a family Christmas present because I love traveling with my daughters, Alexis and Brooks. The trip began a little rocky as we A-Listers in A1-15 were kept waiting to board long past the boarding time. Surprisingly, the gate agent boarded a group that ultimately took up the first three or four rows of the aircraft. One person in the group had a medical need, according to the gate agent, and while we were sympathetic, boarding the entire group seemed a little excessive to the guy behind me who noted that it kept the best customers (and source of high-value ancillary revenue) at bay. 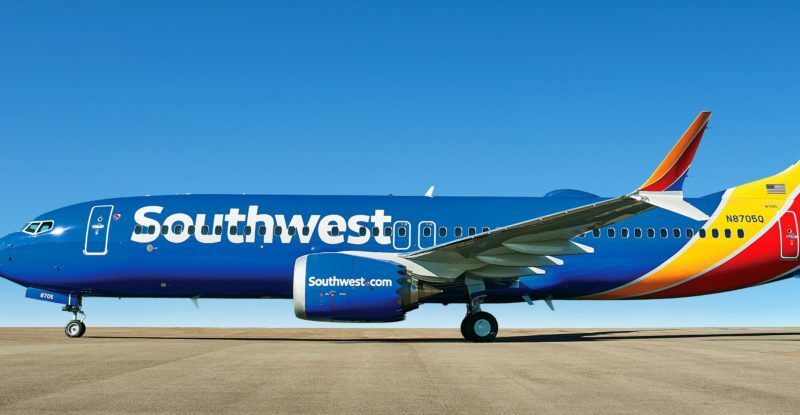 One of the great things about Southwest is the fact it empowers frontline personnel to make decisions that are meaningful to passengers, so it is hard to complain about that. It was time to move on and as I settled in, I realized I was traveling not only on a brand new Boeing 737 MAX but a MAX 8, my first. I’ve always been impressed with Southwest’s legroom and the MAX 8 didn’t disappoint at 32-33 inches, according to SeatGuru. That’s extremely impressive in an industry that increasingly crunches passengers. I was relieved to learn that, even with the new MAX, Southwest continues to march to its own drum. That’s why it’s my go-to airline. Before the flight, I had received a message about Southwest’s app-based entertainment. 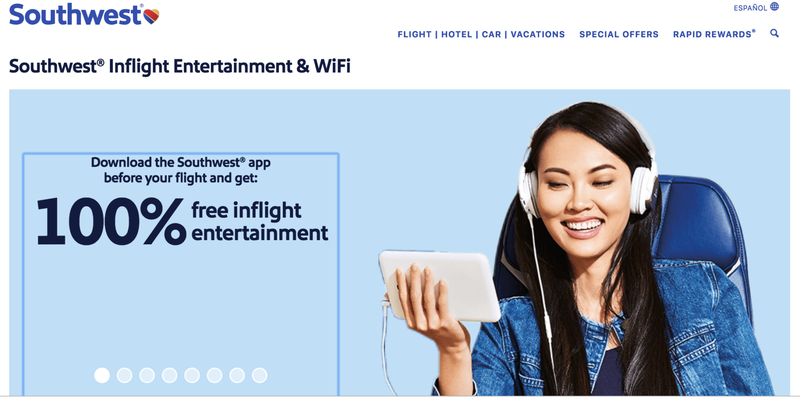 In November, along with the launch of free movies, the Southwest mobile app was updated to include the necessary digital rights management software to allow access to DRM-protected content on the inflight portal. So, before takeoff, I advised the girls to download the app to ensure they could watch movies and TV series on their devices without paying the $8 fee for inflight Internet. We were in for a six-hour+ flight, after all. The girls tried to log onto the Internet in order to download the app but it didn’t work. While Southwest has long touted satellite-based, gate-to-gate Internet, I’ve never used it at the gate because I work in-flight and rely on my laptop, which must be stowed until 10,000ft. On the plus side, I already had the app on my phone so I offered it up to my two daughters, and four eyes proceeded to squint into the five-inch screen. But, they were happy and so was I. “Should have listened to Mom,” I thought, as I flipped open my laptop to begin writing an article due right after our trip. Somewhere over, perhaps, Colorado the only thing I could see of my article was a jumbled mess of information that to my tired mind lacked coherence. I was done with writing and wanted to catch up on emails and other online reading. No dice. 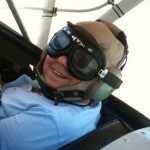 The problem with Internet at the gate extended to the airborne experience. It did not work at all on the flight. When I queried a flight attendant, she said Southwest was having a lot of problems with getting the Internet to work on its new planes. 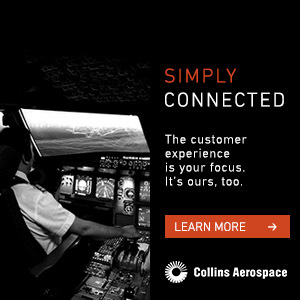 Southwest currently uses two Ku-band satellite-based inflight connectivity vendors – Global Eagle, which services the vast majority of its fleet, and Panasonic Avionics, which was brought in as a second-source supplier, but which is now parting ways with the carrier under mutual agreement, as first reported by Runway Girl Network. I’m not sure whether I was flying on a plane equipped with hardware from Panasonic or Global Eagle (the image at top is a stock photo of a Southwest 737 MAX 8). And while RGN understands that some Panasonic-fitted aircraft have flown dark (i.e. without the Internet), a spokeswoman did later note to my editor that the carrier has “fully functioning Panasonic-serviced Wi-Fi on a handful of our MAX aircraft”. In any case, I resorted to Plan B – reading a book on my tablet. Always have a Plan B. Otherwise the trip was Southwest’s usual friendly service. We landed on time and scooted off to our adventures. The girls loaded the Southwest app on their devices before our return trip, a Boeing 737-700 this time, and blissfully tuned out the entire flight. I, on the other hand, finished writing my story. About a year ago I flew on a new (12 day old) Southwest 737 Max 8 and Internet did not work at all. Once we were all boarded they announced the problem… Sounds like the problem still exists a year later. Did you try to claim something from Southwest? Free drink coupon? Free miles? I think you were entitled. Panasonic might have some of the best service in places you never thought possible, but that almost never the case when flying over the Rockies. United and other airlines face the same issues.